While in the taxi to Independence Square, I was still watching the big National Stadium when I noticed we were getting to a stop. 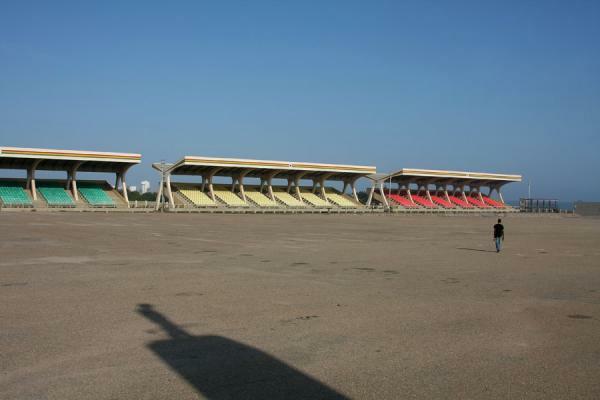 In fact, we had arrived at Independence Square, conveniently located next to the biggest stadium of the country. 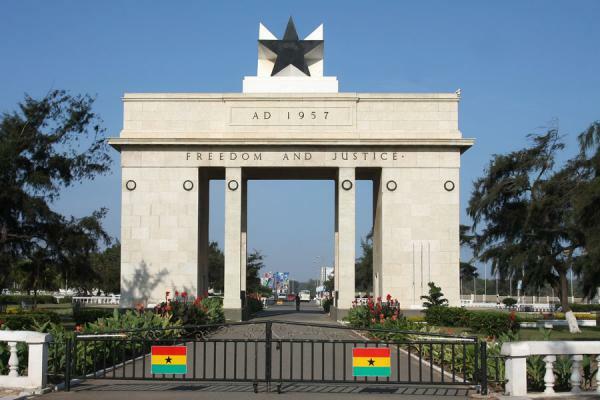 It was easy to recognize: the Independence Arch, countless Ghanaian flags waving in the welcome breeze, and a massive open space behind a monument. I paid the driver and got off. 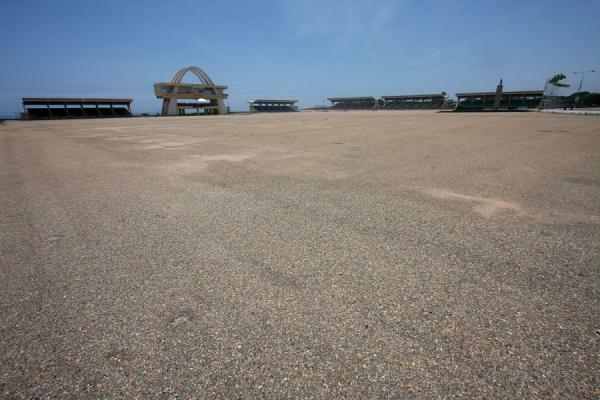 It was a strange sensation to walk onto the immense gathering space and parading ground behind Independence Monument all alone, with no one around, with empty grandstands. 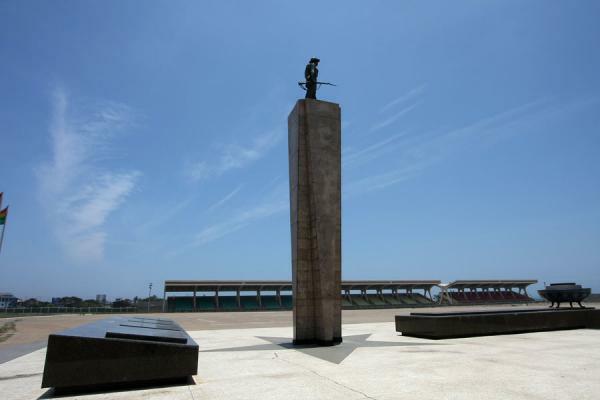 This area is able to hold 30,000 spectators, but now it was empty. 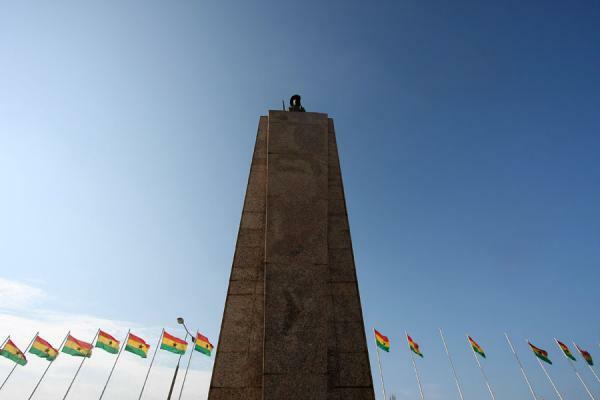 Crowds gather every year on 6 March to commemorate Ghanaian Independence. I paused at the Independence Monument, where I noticed the eternal flame was extinguished. 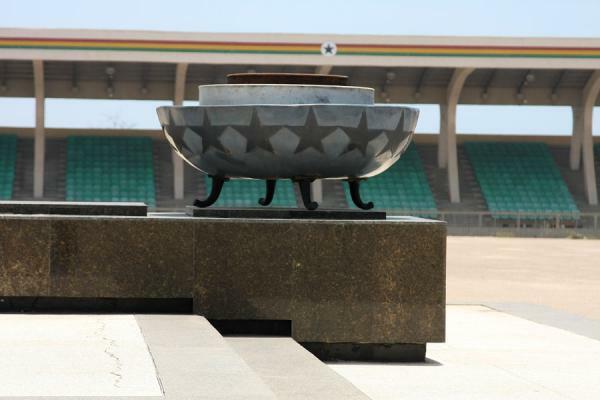 The monument is quite straightforward: a tall pedestal with a statue on top, a slab of marble at its feet and the large bowl which is supposed to hold the eternal flame, with black stars, at the end. To get a better feel of the size of the square, I walked to the other end, spoke to some military guards, before heading to the Independence Arch. 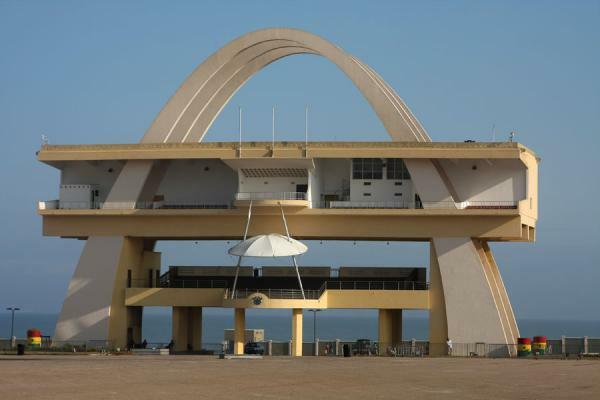 This is a more monumental sight of Independence Square. 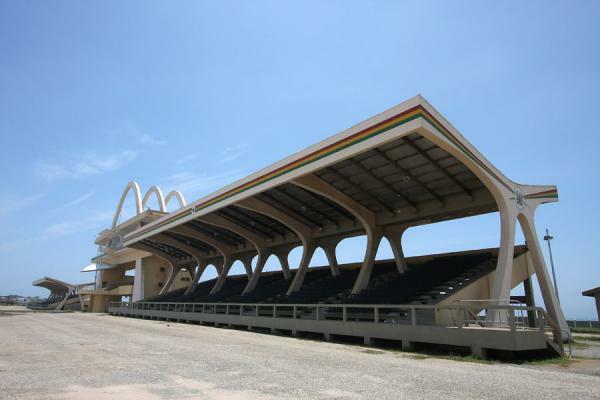 It was erected in 1961 for the visit of Queen Elizabeth II, some four years after Ghana was the first African country to achieve independence. Close to Independence Arch you can find the tomb of an unknown soldier. 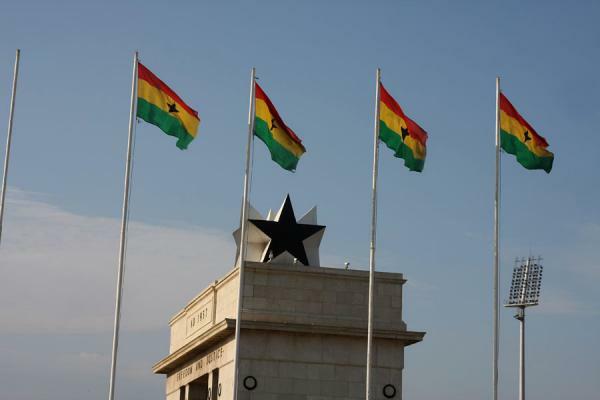 The Black Star on top of Independence Arch is a symbol of African freedom, and can also be found in the Ghanaian flag. 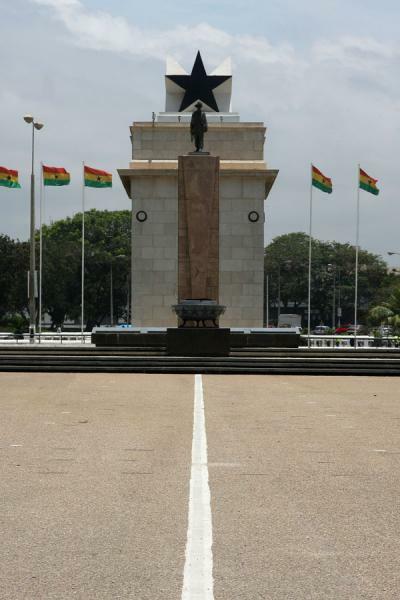 In fact, Independence Square was originally called Black Star Square. 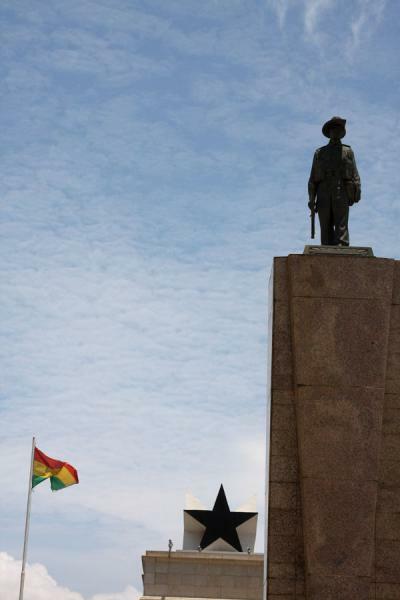 Personal travel impressions both in words and images from Independence Square (). Clicking on the pictures enlarges them and enables you to send the picture as a free e-card or download it for personal use, for instance, on your weblog. 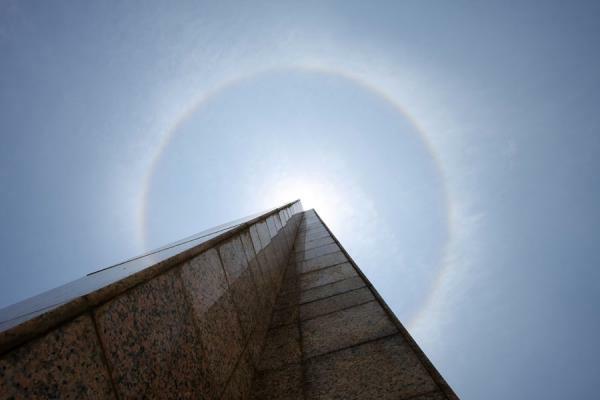 Or click on the map above to visit more places close to Independence Square. 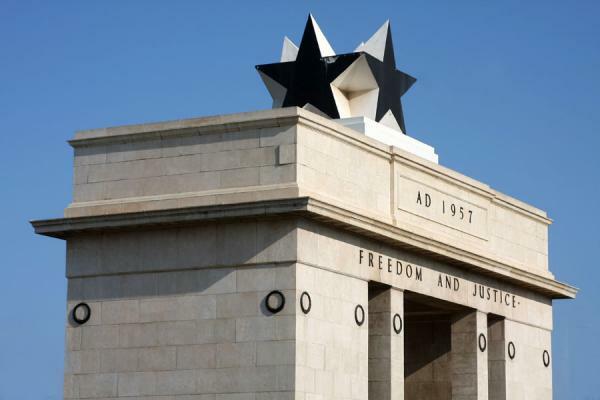 Book a hotel near Independence Square, Accra, Ghana with low prices for all kinds of hotels - without reservation fees.